I love bottle brush wreaths and trees. 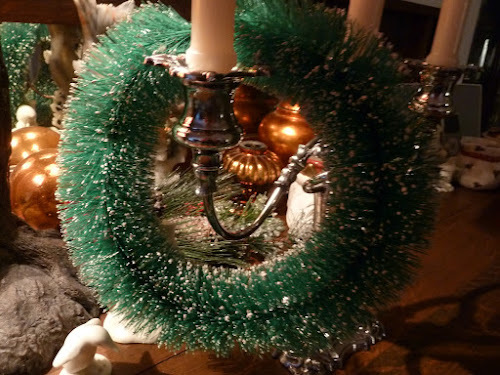 I was born in the 50's and it was very much a part of Christmas for me. Last year I asked my mom if she still had the wreath. She said no, but I still have high hopes that it will turn up some day. She surprised me last Christmas with this lovely green one in amazing condition. This year I am going to find the red berries that they used to have on them so it will look authentic. 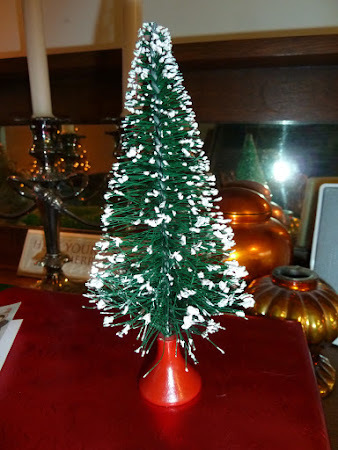 While shopping with my sister this fall I found this bottle brush tree in a shop in Oak Bay. I thought it looked cute with that fun little red stand. I flipped it over and found this tag. I'm not sure if I screamed out loud, but in my head I sure did. 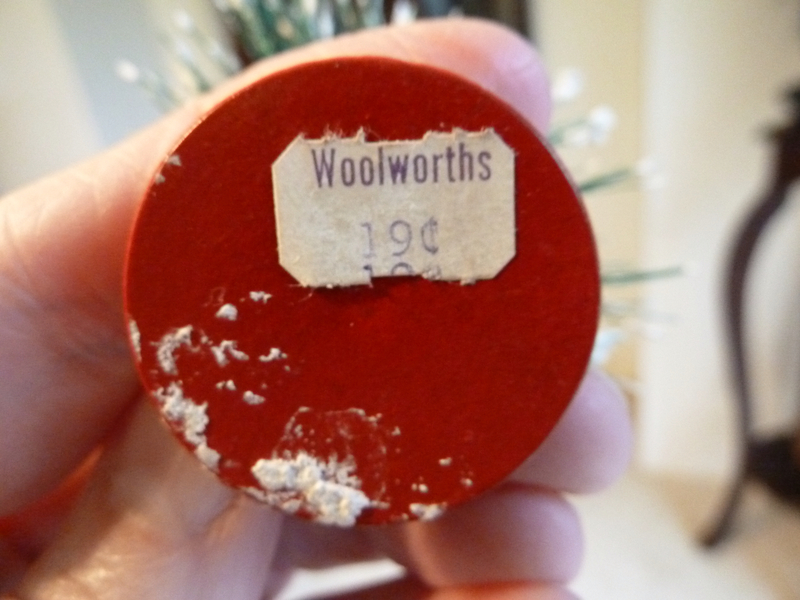 When I was little, I used to go to Woolworths with my Grandmother in Orillia. My time with my grandmother are the most precious memories of my childhood. So, to say this is special to me is an understatement. In my minds eye, I can see this little tree, brand new, priced at .19¢ on a shelf in Woolworths. It appears I am feeling even more nostalgic than usual this year. And that takes some doing. So sweet Erin...I do believe that we share a passion for vintage and also special childhood memories of our Grandmothers. She was the most beautiful person I've ever known. I think of her every day.